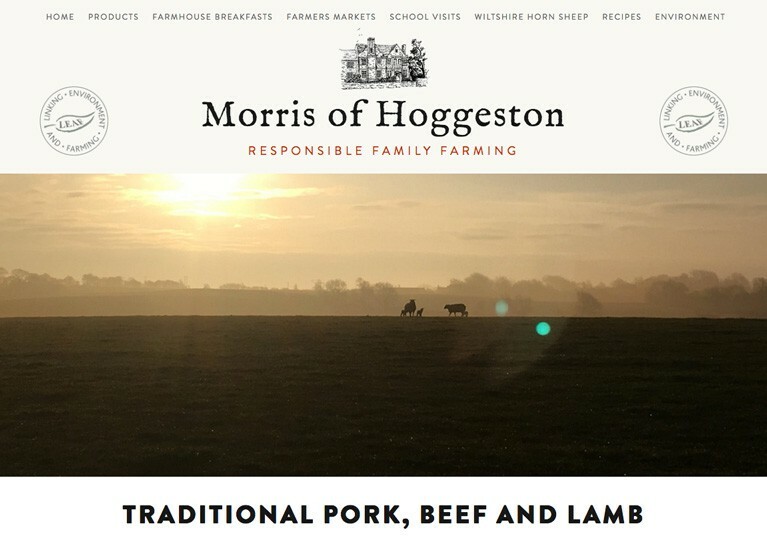 The Morris family have farmed in Hoggeston for many generations and pride themselves on their environmentally friendly and high welfare farming practices. They farm Old English breeds such as Hereford cattle, Wiltshire Horn sheep and Gloucester Old Spot pigs, all born and reared on the farm. They are also renowned for their Farmhouse Breakfasts. I was asked to modernise their branding and redesign their website, adding CMS so that they can update the site with news and events, like those breakfasts!